Ron was born in Wadena, Saskatchewan, and enjoyed his early years on the family farm in the R.M. of Elfros. After completing high school, Ron studied journalism in Lethbridge, Alberta. While Ron had both an aptitude and passion for journalism and was a life- long storyteller, another of his great passions, agriculture, later brought him back to Saskatchewan.After returning to Saskatchewan, Ron met the love of his life, Elizabeth (Betty). Ron and Betty relocated to Yorkton, married, and started their family, welcoming Lori and Tyler before the combination of the family farm and a work opportunity relocated them to the homestead and the family was completed with their youngest son, Jordan. 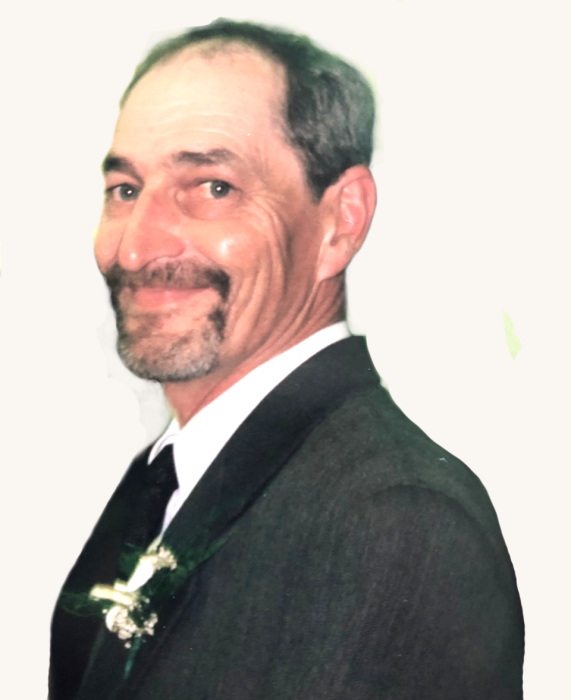 For 25 years Ron balanced his off-farm work at the Saskatchewan Wheat Pool with his cow-calf farm before fulfilling his goal of farming full-time. Outside of work ,some of Ron’s happiest moments were at the hockey rink, coaching his sons and later watching his grandsons. Ron embraced the role of Grandpa and his greatest passion was his “Grands” – Hailey, Alex, Tanner, Max, Liam and Andrew, all of whom Ron was incredibly proud.Last year, Ron and Betty relocated to Regina as Ron courageously battled cancer. Ron passed away peacefully surrounded by his wife and children. Ron was predeceased by his father Ross and mother Irene; father-in-law Frank Whitehead and mother-in-law Villa Whitehead. Ron is survived by his wife Betty; daughter Lori (Jason); sons, Tyler (Janet) and Jordan (Christina; grandchildren, Hailey, Tanner, Liam, Alexander, Maxwell, and Andrew; sister Jean (Ken); brothers, Larry and Alan (Michelle); brother-in-law John (Llizz) Whitehead, Gerald (Grace), Barb (Keith) Norlin and numerous nieces and nephews.